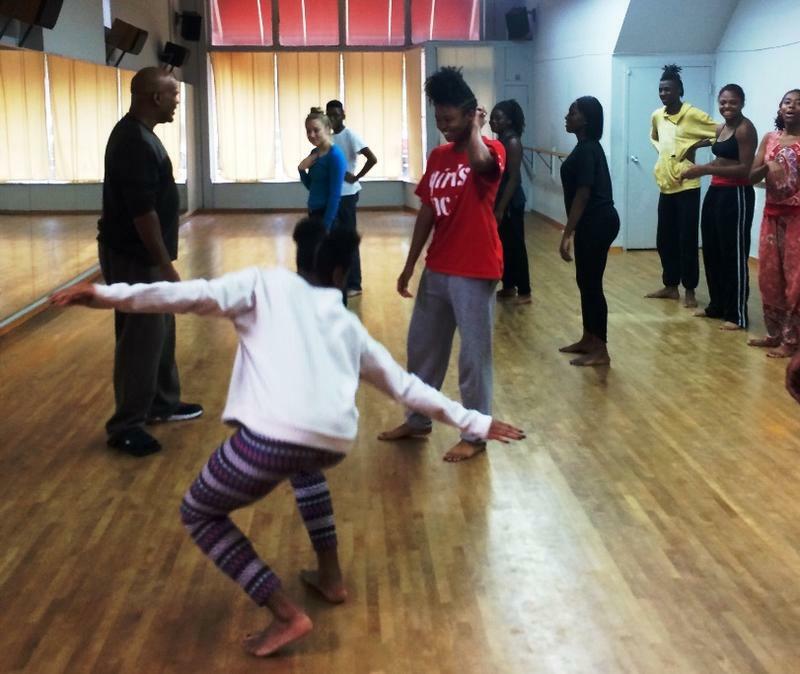 Elizabeth Herring leads the girls in St. Louis' Juvenile Dention Center through the five ballet positions. 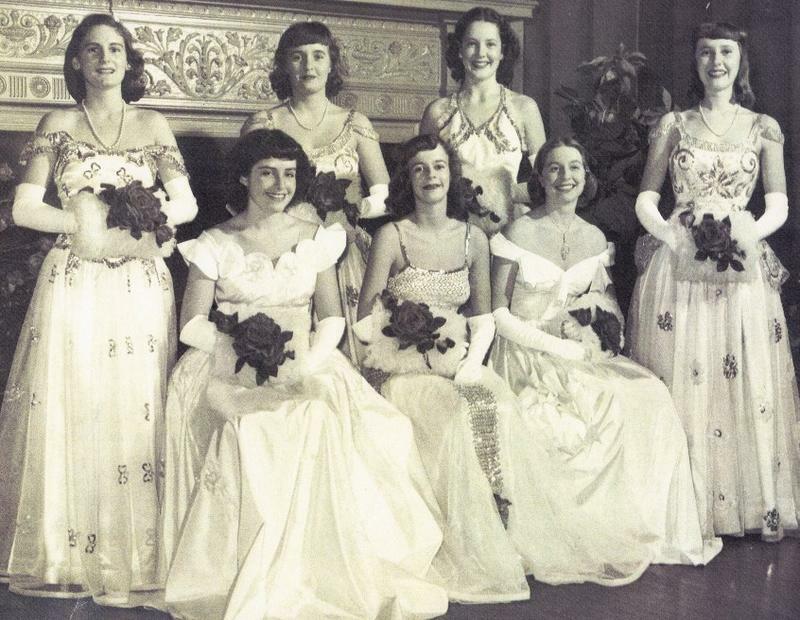 Elizabeth Herring's social debut at St. Louis Country Club in 1947. 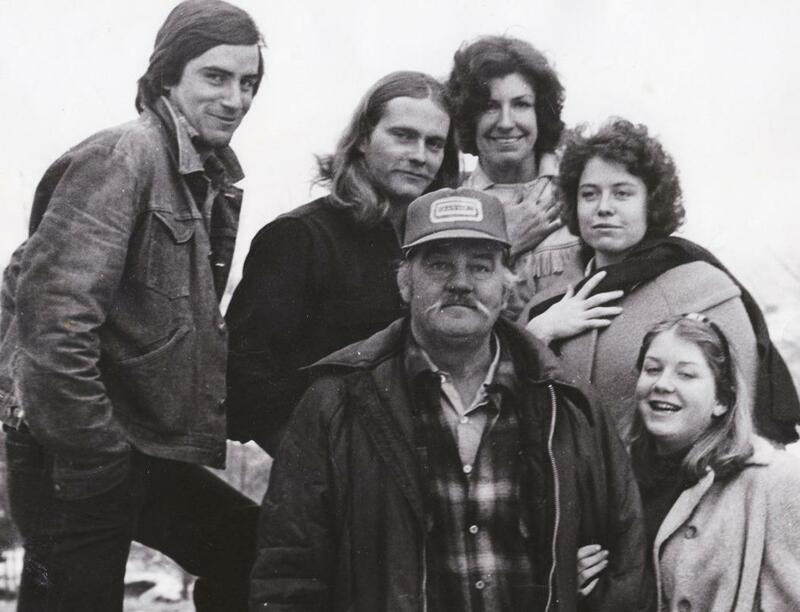 Herring is second from left. 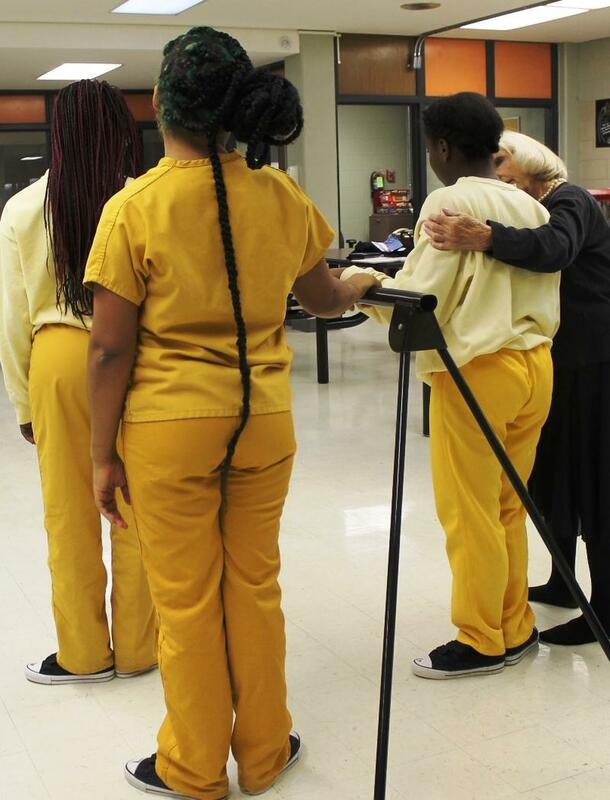 Elizabeth Herring comforts one of the girls in her ballet class at the juvenile detention center. 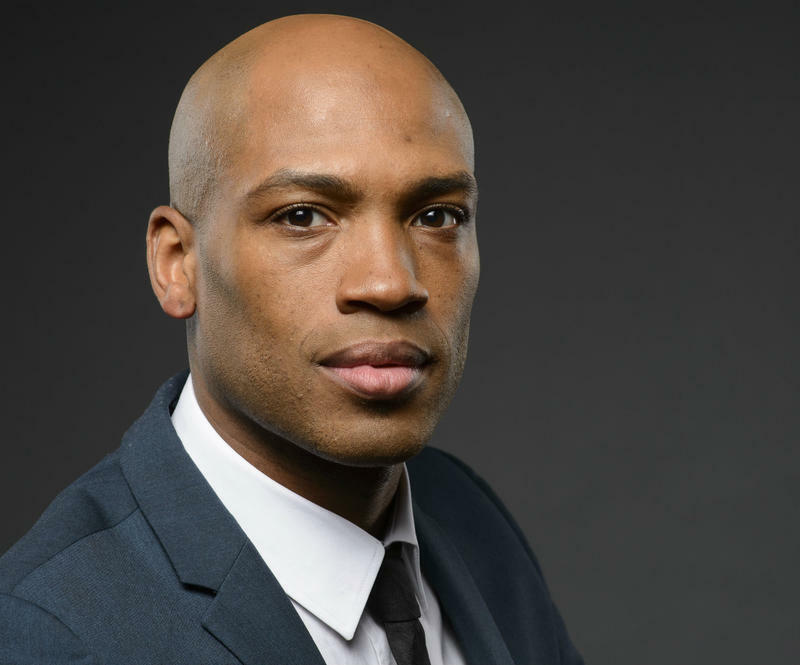 “Because I was already rebellious," Herring said. "And I know that if I grew up like they are, in the streets and what they see, I would have probably been here at an early age." Herring rebelled by joining the circus after graduating from high school at Mary Institute. Now she wants to the girls in detention to know they can change their own story. “The main way I try to help by showing them so many other possibilities in their lives and other worlds they could go see,” Herring said. Elizabeth Herring, 19, in the mouth of Mytle in the 1947 Ringling Bros. and Barnum & Bailey Circus. In stark contrast to the girls she teaches, Herring wanted to escape a life of luxury in Ladue. “Having lunch by the pool, being driven to the movies by a chauffeur and having maids and a chef, a gardener and anything I wanted to buy, any kind of clothing,” Herring explained. Herring yearned for adventure. After high school at Mary Institute, she left for New York to study ballet. One day, Ringling Brothers came to class looking for circus dancers. “My friend from Ohio and I were just so excited,” Herring remembered. 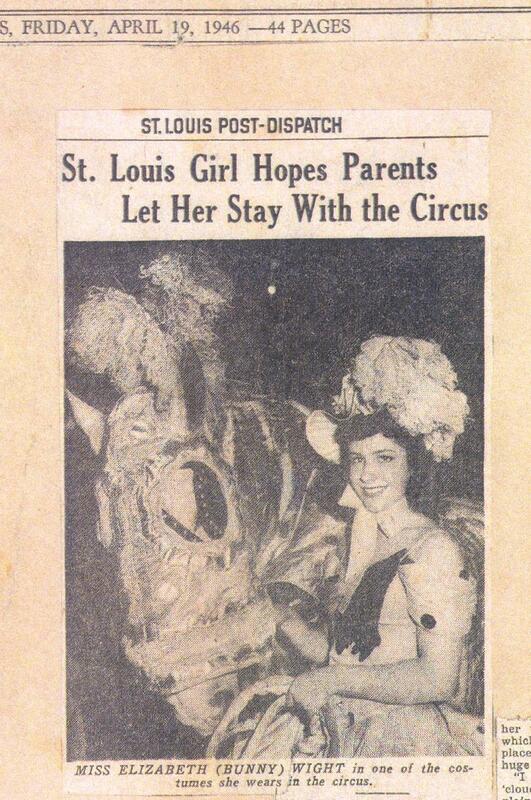 A 1946 Post-Dispatch article details young Elizabeth Herring's domestic struggle to remain with the circus. Less excited were her father, Ira Edward Wight Jr., an investor and descendant of St. Louis co-founder Pierre Chouteau, and her glamorous hat-and-glove-wearing mother, Elizabeth Forrest Wight. But her parents gave in, with two restrictions: One was no aerial acts. The other took her out of the ring and back into prominent social circles. But the deal didn’t involve staying away from elephants. 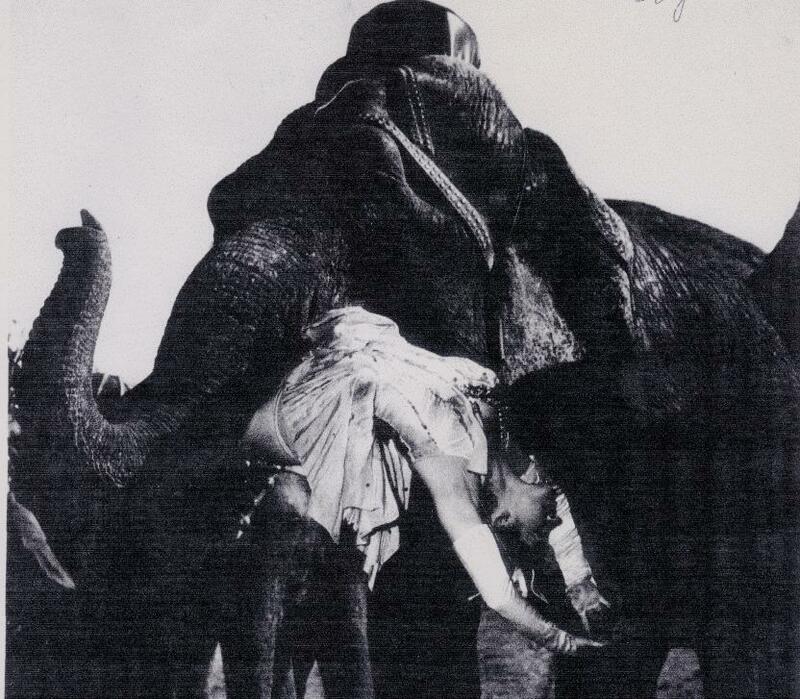 Herring’s act included an elephant carrying her in its mouth and then standing directly over her. “The elephant would walk over and put her foot on my face. And after she takes her foot off and you walk away, everyone claps a lot,” Herring said. 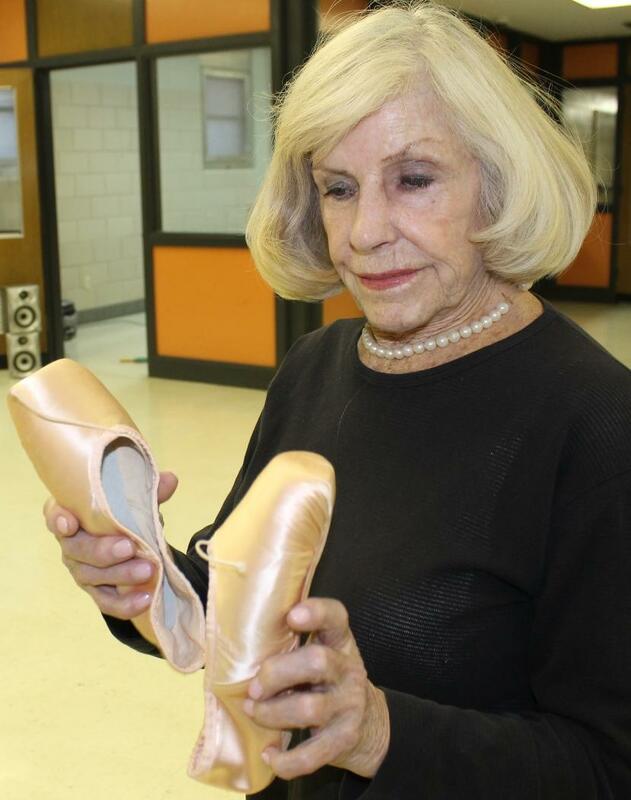 Nancy Fowler visits Elizabeth Herring’s ballet class in St. Louis’ Juvenile Detention Center and talks with Herring about how her life went from elegance to elephants. Herring enjoyed circus life for three years, then married a Wyoming rancher, raised four kids, became a nurse and sold real estate. She and her husband finished raising their children on a family farm in Pike County, Mo. She eventually moved back to the St. Louis area. At 80, she learned a trapeze act for a benefit party at the City Museum for Prison Performing Arts and Circus Harmony. She wrote a book about the experience and her life leading up to it. 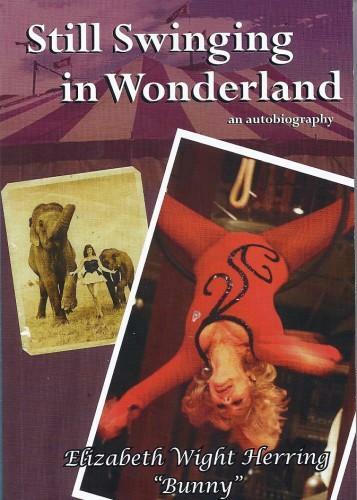 “Still Swinging in Wonderland” also delves into her work with PPA. She tutors kids at the detention center in academic subjects one day a week as well as teaching ballet to groups of girls. The girls are underage so their names are confidential. One teenager with flowing braids and green highlights says ballet is a nice break from school courses and card games. “I learned … the steps and twists, and [to] angle my feet right and point my toes, move my body around and experience new things,” she said. Prison Performing Arts education director Rachel Tibbetts said Herring inspires the girls with her life story and continued perseverance. “I think it’s a beautiful way for young women here to look at (the fact that) they’ve got a long journey in front of them and that you can keep doing what you love every moment of that journey,” Tibbets said. Elizabeth Herring recently bought this pair of satin toe shoes at Goodwill for $4. That doesn’t mean you’ll love every moment. Herring’s no stranger to adversity. “It means being true to yourself,” she said. For Herring, being true means looking back on a life she chose, practicing trapeze and continuing to teach ballet to girls in detention. 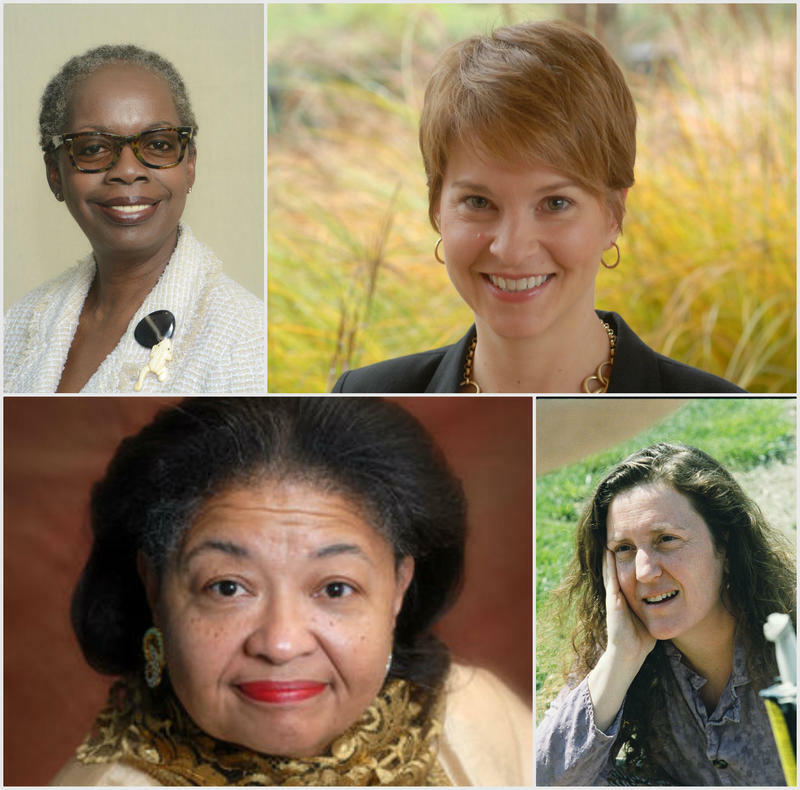 Prison chaplains wear hope on their sleeves. Many talk about ex-prisoners who transform their lives in prison and, after release, become contributing citizens and good parents. One of the chaplains, the Rev. Dietra Wise Baker said that most judges and others who work in the justice and corrections systems are “loving,” but the system is flawed. Updated at 1:15 p.m. with further comment from the ACLU. 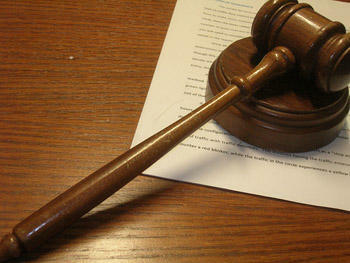 Updated at 12:05 p.m. with quotes from court administrator Paul Fox. 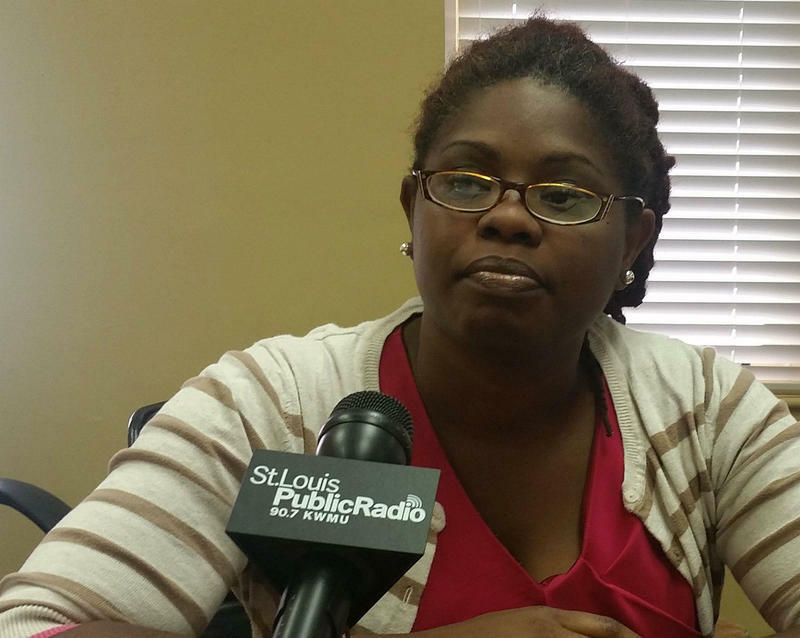 The U.S. Department of Justice is investigating whether the St. Louis County family court is treating all of the children who appear in front of its judges equally. The department's Civil Rights Division is specifically looking at whether the court is providing due process to children involved in delinquency proceedings, and if all children are treated equally regardless of race. For more than a year, St. Louis dance professionals have worked to create a performance responding to the death of Michael Brown. On Friday at 7 p.m., the public can see the result of their efforts at Centene Center for the Arts, 3547 Olive St., in Grand Center. “Dance Speaks Volume I" is presented by St. Louis Dancers Step-Up, in cooperation with the Grand Center Arts Academy Theatre Department. November 13 will mark the 38th season opening night for St. Louis-based Dances of India, the first classical Indian dance company to be established in Missouri. President Nartana Premachandra and Artistic Co-Director Theckla Mehta joined “Cityscape” host Steve Potter to discuss the organization and their 2015-2016 season.